Eric Drexler likes to say: engineering is dual to science, because science tries to understand what the world does, while engineering is about getting the world to do what you want. I think we need a slightly less ‘coercive’, more ‘cooperative’ approach to the world in order to develop ‘ecotechnology’, but it’s still a useful distinction. For example, classical mechanics is the study of what things do when they follow Newton’s laws. Control theory is the study of what you can get them to do. Say you have an upside-down pendulum on a cart. Classical mechanics says what it will do. 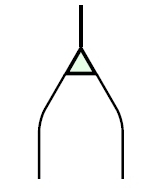 But control theory says: if you watch the pendulum and use what you see to move the cart back and forth correctly, you can make sure the pendulum doesn’t fall over! • John Baez and Jason Erbele, Categories in control. • Filippo Bonchi, Paweł Sobociński and Fabio Zanasi, Interacting Hopf algebras. • Filippo Bonchi, Paweł Sobociński and Fabio Zanasi, A categorical semantics of signal flow graphs. • Simon Wadsley and Nick Woods, PROPs for linear systems. This makes the picture neater and more general! and composition is given by matrix multiplication. But Wadsley and Woods generalized all this work to cover whenever is a commutative rig. 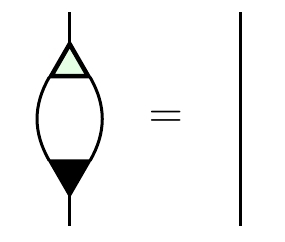 A rig is a ‘ring without negatives’—like the natural numbers. We can multiply matrices valued in any rig, and this includes some very useful examples… as I’ll explain later. This result is quick to state, but it takes a bit of explaining! So, let me start by bringing in some definitions. We will work in any symmetric monoidal category, and draw morphisms as string diagrams. and the counit is deletion: that is, the unique map from to the zero-dimensional vector space. You can check that these are true for our running example of a finite-dimensional vector space The most exciting one is the top one, which says that adding two vectors and then duplicating the result is the same as duplicating each one, then adding them appropriately. We summarize this by saying our vector space is a bicommutative bimonoid ‘over ‘. More generally, suppose we have a bicommutative bimonoid in a symmetric monoidal category. Let be the set of bicommutative bimonoid homomorphisms from to itself. This is actually a rig: there’s a way to add these homomorphisms, and also a way to ‘multiply’ them (namely, compose them). So sometimes the right word is worth a dozen pictures! What Jason and I showed is that for any field the is the free symmetric monoidal category on a bicommutative bimonoid over This means that the above rules, which are rules for manipulating signal flow diagrams, completely characterize the world of linear algebra! Bonchi, Sobociński and Zanasi used ‘PROPs’ to prove a similar result where the field is replaced by a sufficiently nice commutative ring. And Wadlsey and Woods used PROPS to generalize even further to the case of an arbitrary commutative rig! A PROP is a particularly tractable sort of symmetric monoidal category: a strict symmetric monoidal category where the objects are natural numbers and the tensor product of objects is given by ordinary addition. 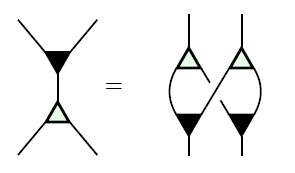 The symmetric monoidal category is equivalent to the PROP where a morphism is an matrix with entries in composition of morphisms is given by matrix multiplication, and the tensor product of morphisms is the direct sum of matrices. We can define a similar PROP whenever is a commutative rig, and Wadsley and Woods gave an elegant description of the ‘algebras’ of . Suppose is a PROP and is a strict symmetric monoidal category. Then the category of algebras of in is the category of strict symmetric monoidal functors and natural transformations between these. This is a great result because it includes some nice new examples. But again, this follows from the general result of Wadsley and Woods! Earlier, in their paper on ‘interacting Hopf algebras’, Bonchi, Sobociński and Zanasi had given an elegant and very different proof that is the PROP for Hopf monoids over whenever is a principal ideal domain. The advantage of their argument is that they build up the PROP for Hopf monoids over from smaller pieces, using some ideas developed by Steve Lack. But the new argument by Wadsley and Woods has its own charm. In short, we’re getting the diagrammatics of linear algebra worked out very nicely, providing a solid mathematical foundation for signal flow diagrams in control theory! This entry was posted on Monday, May 18th, 2015 at 2:31 am and is filed under mathematics, networks. You can follow any responses to this entry through the RSS 2.0 feed. You can leave a response, or trackback from your own site. Reblogged this on Μαθεσις universalis οντοποσοφια. where I plan to develop all this, but taking a much more leisurely pace. I have just written about bicommutative bimonoids over the weekend, and I plan to spend some time discussing the various approaches to proving the results that you mention here. It seems that the Wadsley Woods papers gives a really nice new perspective on things! Thanks, Pawel! I’m glad you plan to blog about this! A more leisurely pace would make this material easier to understand. […] composition of morphisms is given by matrix multiplication, and the tensor product of morphisms is the direct sum of matrices. Yeah, it’s all about direct sums, nothing weird at all! This stuff is maximally simple and nice: just ordinary linear algebra. But it’s done in a somewhat new way, which I suppose could be completely disorienting. We’re doing it with signal flow diagrams—like control theorist do. And we’re explaining that setup using modern math, like PROPs. corresponding to the block diagonal matrix with and as its blocks. All this stuff is called the PROP Then you can replace by any other commutative rig. By the way, if you are enjoying this blog, I think that you will also enjoy Dan Ghica’s wonderful series on inventing an algebraic knot theory for kids: Dan uses a similar diagrammatic language to talk about knots, but there’s one major difference between his diagrams and ours: his wires tangle! No wonder, since wires that do not tangle are not particularly useful if you want to construct knots. If you want the “real” reason, it is that his underlying mathematical structure is a braided monoidal category, whereas ours is symmetric monoidal category. There is one more blog to mention: John Baez has recently been writing about PROPs and linear systems; check it out if you want a sneak preview of one of the star applications of graphical linear algebra! John and his student Jason Erbele developed the theory independently and more or less at the same time as Filippo, Fabio and I. But, apart from the fact that they have different conventions for drawing diagrams, the equational theory that they have developed can be shown to be equivalent to the one we will develop here. It’s super interesting that science is full of temporal coincidences like this; it’s not even the first time that this kind of thing happens to me!